Surprise! The main ingredients of this concoction meant to dissolve hair and other blockages on contact are dangerous! Most drain cleaners are composed of high concentrations of sodium hydroxide or sulfuric acid. And, guess what? If you accidentally spill a drop or two on your skin or clothes, it’s not going to be pretty. When this type of caustic chemical makes contact with skin, it can instantly cause chemical burns which can be not only painful, but can also cause scarring and other damage depending on how much was spilled and the amount of time it took to wash it off. Unless you’re trained in the art of chemical drain cleaners, then chances are, you’re using them wrong. These cleaners are designed for a quick fix and not necessarily an effective one. The concentrated chemicals can very well eat away at your pipes, causing wear and tear that could evolve into leaks. 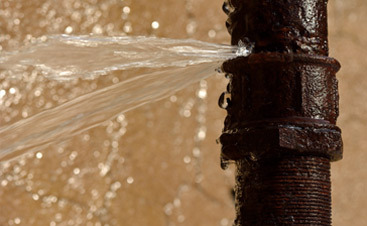 Subsequently, leaks can cause mold and water damage. While the clog might be gone in the moment, chances are, it’ll probably re-clog thus starting a vicious cycle of having a clog and “hope I don’t end up in the ER this time!” Prevent this cycle by having Mojica Plumbing & Drain Cleaning Bio-Clean, a safe and effective anti-clogging agent, to your pipes. If it weren’t for the earth, then we wouldn’t have water. If it weren’t for water we wouldn’t have… plumbing. Therefore, it’s in our best interest to protect the environment and maybe not pour hazardous chemicals down our drain just because we’re feeling a little lazy. Just call us, we’ll safely (and sustainably!) clean your drains for you. 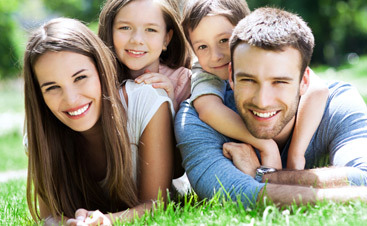 Our expert plumbers are trained in the art of making sure water in your house is running smoothly and efficiently because we believe that both the Earth and your wallet could use a little break. That’s why we despise these cleaners. 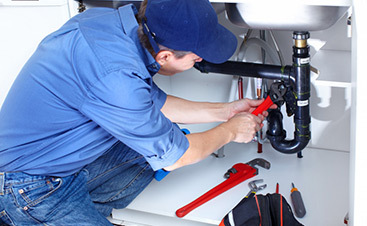 Plumbing is the key component to a safe and functioning household and we’ve trained very hard to make sure we get plumbing right. 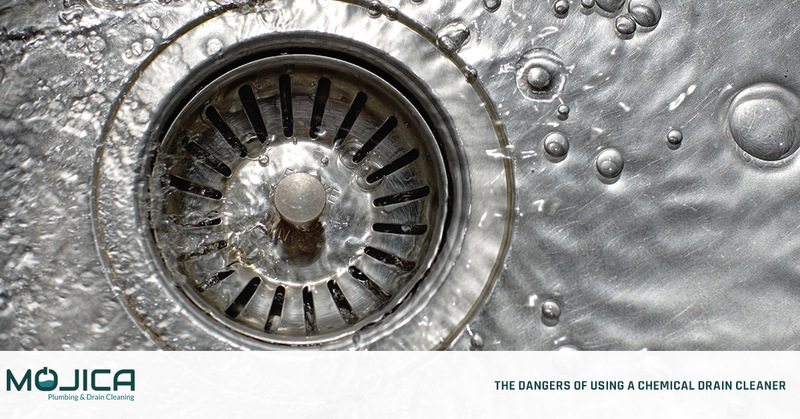 Don’t fall victim to the trickery and dangers of chemical drain cleaners or clogs! Luckily, drain cleaning is in our name (literally). And, we provide Bio-Clean application which safely makes sure that drain clogs never happen again! also cause massive damage to your septic system if disposed of down the drain or toilet.